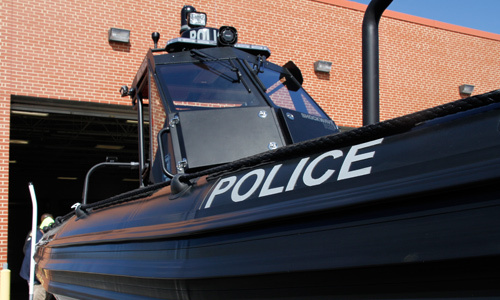 Ocean Craft Marine Delivers a New High–Performance Boat to MDTABaltimore, Maryland –Ocean Craft Marine– Recently delivered their newest high-performance Law Enforcement Rigid Hull Inflatable Boat (RHIB) to a Special Operations Marine Unit of the Maryland Transportation Police. The contract for this custom-built high-performance boat was awarded this past year and the boat was just delivered in March of 2018. 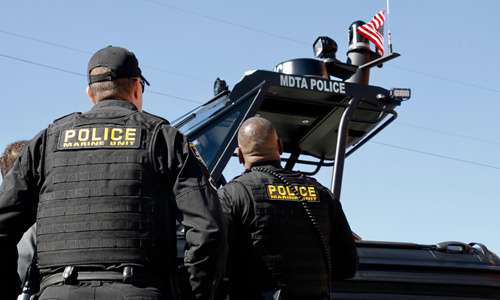 “…We are so very excited at having had this unique opportunity to support the mission-success and the mission-safety of our local Maryland Transportation Police Marine Tactical Unit and the very special-taskingthat they are called on to perform for our community each and every day,” said Todd Salus, Ocean Craft Marine’s Vice President. Ocean Craft Marine utilized their very unique concave reverse-chine designed hull-form in order to provide the police with an exceptionally fast and agile boat capable of high-speed tactical maneuvers.Ocean Craft Marine installed a highly custom fully shock-mitigated operator console. In addition, the vessel was designed with twin diver-access-notches to easily facilitate man-overboard rescues at sea and also installed was the latest in mission-modular, tactical boarding-ladder systems. Ocean Craft Marine is a U.S. based and privately-owned company specializing in highly customized, maritime solutions for the elite military, law enforcement and commercial mariners. Their offices are located on the water in Annapolis, Maryland. For more information on the Ocean Craft Marine 9.5 meter VI-BTD as well as their full product range of RIBS and Inflatable boats visit www.OceanCraftMarine.com or contact Todd Salus at Ocean Craft Marine 301 Fourth Street, Annapolis, MD 21403, Email: Todd@OceanCraftMarine.com Phone: 410.263.3242.